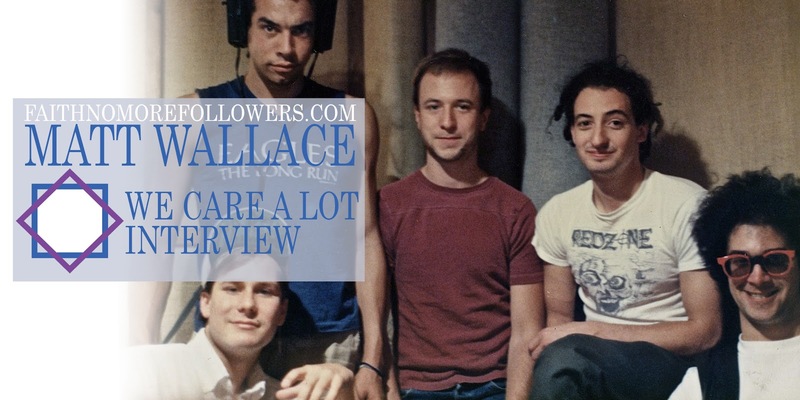 With the release of the deluxe band edition of We Care A Lot, Matt Wallace talks about what it meant for him to revisit the debut Faith No More album and his history with the band. How do you feel about WCAL 31 years after the original release date? Why did you think it was important to re release it? For me it’s important because WCAL was our first foray into 24 track, professional recording. Prior to this record everything we had done was on 8-track either in my parents’ garage or at my studio in Oakland, California. Again, it was a turning point because the band finally had the time and resources to create a world within an album. What did you and the band do with the new version of the record to update the sound? I haven’t heard the entire album yet as Bill is the one who is putting it all together. But, I did re-mix 3 of the songs that we recorded on 24 track and also re-mixed 4 of the demo versions of the song that we did in my 8-track studio. I had the ability to listen back to the work that the band and I had done 30 years ago and appreciate that we actually got a lot of it right. I was surprised that, as young and inexperienced as we were, that we really were able to put together a relatively cohesive album that sounded pretty good. I was able, in the remixing, to make the record as powerful as we had all envisioned it in our minds but, due to the fact that we were all kind of young and inexperienced (me, particularly) our vision was larger than our (at least my) abilities. Also, because I haven’t heard the master recordings in 30 years I was able to approach the mixing with ‘fresh ears’ and could almost mix as if I wasn’t the original engineer/mixer. FNM became a world class act some years after WCAL and they have maintained the high quality of their music with Sol Invictus. How do you feel to have shared both extreme moments in the band's timeline? I am beyond thrilled and honored to have been a part of the process of helping the band realize their unique musical expression. At any point in time they could have hired someone else, especially when they were first signed to Slash Records and other producer/engineers were trying to work with them. They, fortunately for me, ‘brought me along’ for the journey and it has been my most satisfying collaboration in all the years that I’ve been working as a producer/engineer/mixer. The band and I kind of ‘grew up’ together as we learned how to achieve what we heard in our heads. The fact that I was able to start with Billy and Mike Bordin in my parents’ suburban garage when I recorded the Faith No Man 7” up through them getting nominated for a Grammy and then through Sol Invictus and now, with the re-release of We Care A Lot, makes for the deepest, widest, longest running and most connected collaboration I’ve ever had with a musical group. I’ve known them since 1982… I believe that Bordin and Billy were 19 years old at the time. It’s been a long, winding and beautiful journey. Did you imagine the band could experience such an exponential upgrowth? Absolutely. From day 1 they were pushing boundaries. They were always restless and driven to capture their odd, unique, genre smashing, inspired music. They were always a band that was pulling in 5 opposing directions and, by doing so, they created a new and unique sound. When “Epic” was released and was ‘upstreamed’ from Slash Records to Warner Brothers Records, we kept hearing ‘great album! but, it will never get played on radio’. They were saying that because rap/metal had never been on radio… certainly not Top 10. Faith No More, with “Epic” hit #9 and the song has a 45 second section where everyone in the band is ‘soloing’… guitars, bass and drums all going off in their own direction. Faith No More had the vision long before the rest of the world caught up.